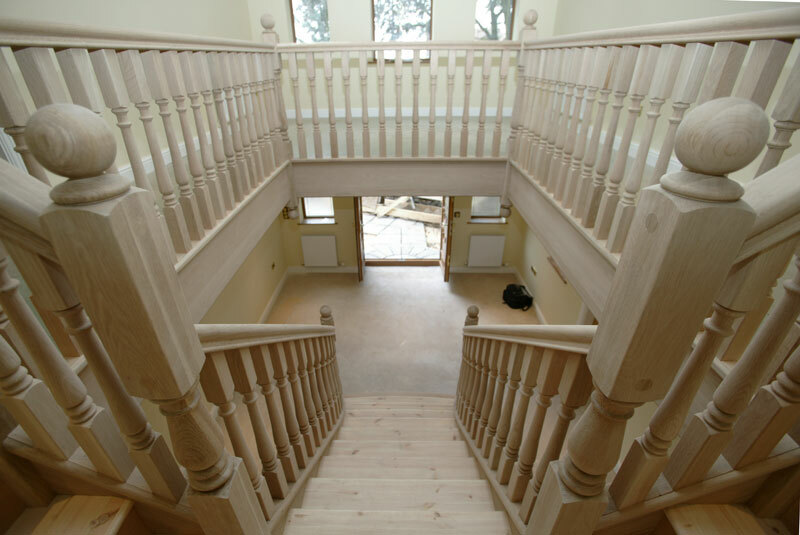 As leading staircase manufacturers Stairplan Also Produce Bespoke spindles in-house this enables us to be in total control of you order and our staircase production. 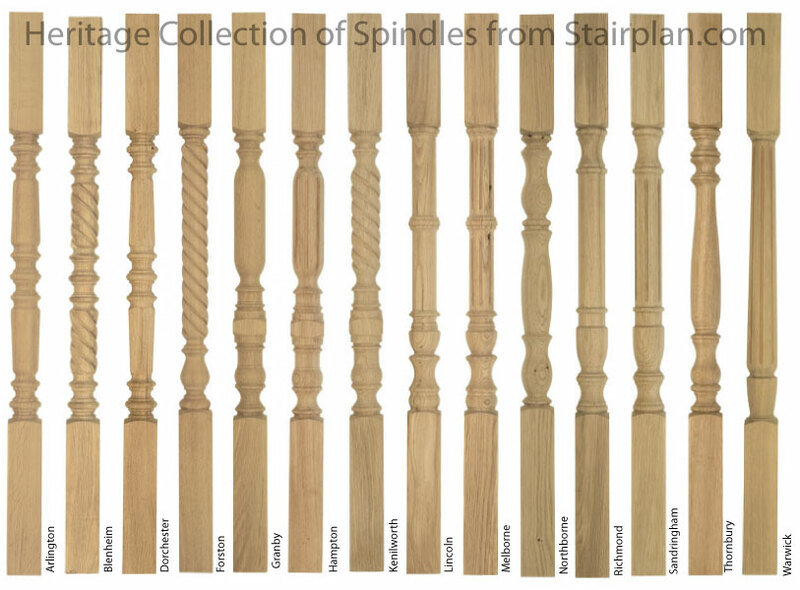 Staircases with Bespoke Spindles from Stairplan. 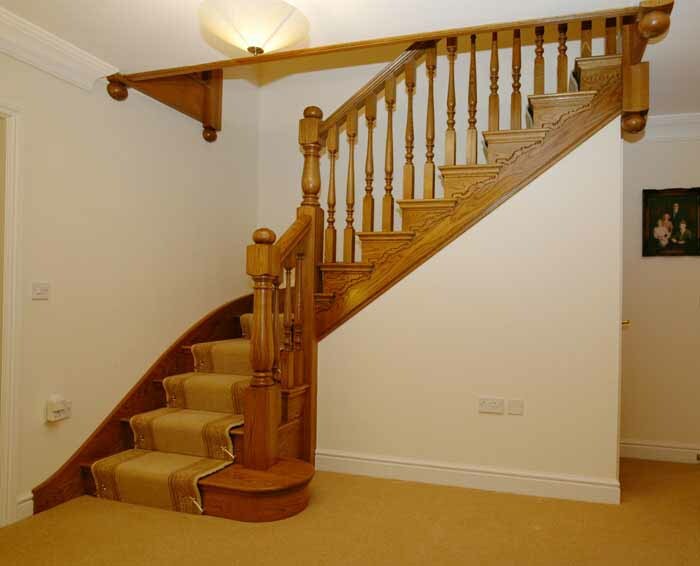 The Prescott Staircase above is a High specification Oak Cut String Staircase with Bespoke newel posts and Spindles, the Spindles are 56mm and they are also turned to specific lengths to suit this staircase rise, you can see there are 2 lenghts of spindles, they are level with the tread on the bottom and inline with the handrail at the top. 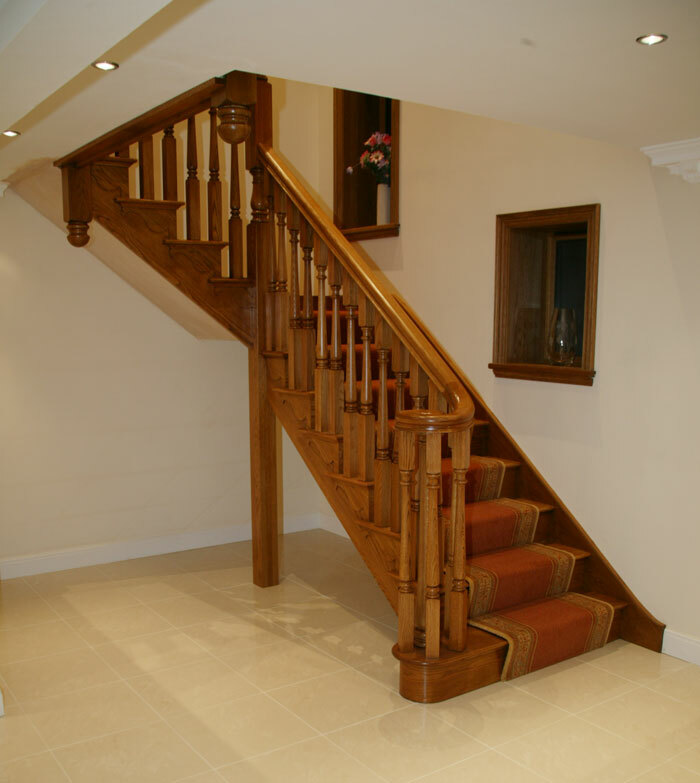 The Oak is American White oak - this staircase has been decorated with a medium Oak Colour. The Brooklyn staircase ( Our Featured Staircase) is a Oak cut string staircase with a Ascending Volute detail, The oak in this staircase is "Super Prime" american White oak - this staircase has had a medium colour oak stain when decorated.